David D. Bergey: active Mennonite layman and dairy farmer; born 6 February 1916, near New Dundee, Ontario, only son of Gilbert and Angeline (Martin) Bergey. On 20 May 1940 he married Lorna L. Shantz (29 May 1921-22 March 2009) at the Blenheim Mennonite Church. David was baptized in 1926; Lorna in 1930. They had two sons, Edward and Robert. David died 6 April 1980 and was buried in the Blenheim Mennonite cemetery. In 1937 David graduated from the Ontario Mennonite Bible School held at First Mennonite Church in Kitchener. In the local church community he taught a Sunday School class, led unaccompanied congregational singing with zest, participated in choral and quartet ensembles, and presented topics at Sunday evening Young Peoples' Bible Meetings and the monthly Mennonite Literary Society in the Wilmot church district. For the Mennonite Conference of Ontario David served as general secretary for the Ontario Mennonite Christian Workers from 1957 to 1960, sat on the first Conrad Grebel College Board of Governors from 1963-1968 as well as the Mennonite Conference of Ontario Executive Committee from 1964-1966 . David Bergey's local community service included the board of the New Dundee Independent Rural Telephone Company until it was sold in 1959, the Wilmot Area #1 Public School Board, the New Dundee Library Board, and as a director of the Rural and Township Section of the Ontario Education Association; member. Many of David’s contributions came in the years following a partially disabling farm accident in 1954 which ended his dairy farming operation. He became a marketer of cheese from local factories and he established cheese stands at a number of outdoor summer markets in addition to a year around indoor market stand established by the Bergey family in 1911 at the Galt (now Cambridge) Farmers Market. David Bergey displayed strong perseverance in the wake of his crippling accident, and offered “common sense” leadership on the numerous boards that called him to serve. Blenheim Mennonite Church & Sunday School Records held at Mennonite Archives of Ontario. Mennonite Conference of Ontario records held at Mennonite Archives of Ontario. More Than a Century in Wilmot Township. New Hamburg, ON : Committee, 1967. Bergey, Lorna. "Bergey, David D. (1916-1980)." Global Anabaptist Mennonite Encyclopedia Online. June 2004. Web. 19 Apr 2019. http://gameo.org/index.php?title=Bergey,_David_D._(1916-1980)&oldid=133271. Bergey, Lorna. (June 2004). 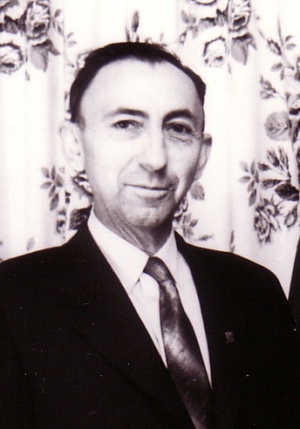 Bergey, David D. (1916-1980). Global Anabaptist Mennonite Encyclopedia Online. Retrieved 19 April 2019, from http://gameo.org/index.php?title=Bergey,_David_D._(1916-1980)&oldid=133271. This page was last modified on 18 January 2016, at 07:05.